Bomb blast debris has been found near a mosque in Wolverhampton, as police continued to question two foreign students over the West Midlands-wide terrorism investigation. Wolverhampton Central Mosque was last night evacuated just hours after detectives and an Army bomb disposal unit swooped on an industrial park in Birmingham where the two suspects were arrested. Today they revealed that they had found the “seat of an explosion” and debris, on the Five Ways roundabout. Assistant Chief Constable Marcus Beale, who is leading the investigation, said today: “Officers searching the area have found the seat of an explosion and debris on the island near the mosque. “The investigation is being led by specialist officers and staff from our Counter Terrorism Unit who are being supported by a range of departments from across the force. “We recognise the impact news of the latest find will have on the communities of Wolverhampton and further afield. We’re working hard to complete our enquiries so that the area can be returned to normality. “We are keen to hear from people who may have seen anyone acting suspiciously on or near to the roundabout on the night of the 27 or the morning of 28 June,” said ACC Beale. Detectives were today quizzing the Ukranian men – aged 22 and 25 – on suspicion of causing the recent bomb blasts at mosques in Walsall and Tipton. Police said they were acting on fresh intelligence about a suspected bomb plot at the Wolverhampton mosque in Waterloo Road as they revealed they were heading to the scene last night. They had been called to the mosque on June 28 to investigate reports of a noise, but found nothing untoward. New information yesterday sparked a major police operation as officers searched the mosque and surrounding area for signs of any device. Nothing was found at the mosque, which has now reopened for worship. They evacuated the building at 8pm yesterday. Military bomb disposal and specialist search teams also descended on the mosque. Security has been heightened at mosques around the region and police have stepped up patrols to ensure a higher visibility presence on the streets. Officers insisted the Wolverhampton evacuation – which involved cordoning off parts of Stafford Road, Cannock Road and Dunstall Road – was to ensure safety and security of the community. Superintendent Jan Thomas-West from Wolverhampton Police said: “We had a report of a noise on June 28. In Birmingham, parts of the city had earlier been brought to a standstill and hundreds of workers were evacuated from software engineering company Delcam – where the two suspects were arrested at 2.50pm. Detectives, an Army bomb disposal unit and police dog team carried out investigations late into the night. The first man was arrested after being spotted by officers working in the local area, and the second was arrested nearby. It is believed an officer on routine patrol spotted one of the men and initially identified him as a suspect in the Walsall mosque bomb inquiry. The pair, who remained in custody today, are university engineering students and are on work placement with Delcam. It is believed the pair did not know each other before they met at the company. The first terror investigation was launched after a handmade device exploded by the Aisha Mosque and Islamic Centre in Rutter Street, Caldmore, on June 21. The road was sealed off and around 150 residents evacuated from their homes, as white-suited forensic officers scoured the scene for clues. A 75-year-old man from Walsall who was arrested on June 27 in connection with the investigation has been eliminated from inquiries and faces no further action. Then on July 12, counter terrorism police, the army and bomb disposal teams were sent to the Kanz-ul-Iman Muslim Welfare Association Central Jamia Mosque in Tipton after nearby residents heard a loud bang. The blast, which resulted in nails and debris flying into nearby buildings, happened at around 1pm when there should have been hundreds of people inside the mosque – but the first Friday prayers of Ramadan had been put back by an hour so there were just three people present. POLICE have today (Wednesday) released pictures of a man they urgently want to speak to in connection with the attack on the Aisha Mosque in Walsall last month. The images – released to the public as part of a major investigation by the West Midlands Counter Terrorism Unit – show a man, believed to be white, in his 20s or 30s and of slim to medium build. Parts of a device were recovered from the vicinity of the Rutter Street mosque after worshippers alerted police to suspicious items found nearby. Local residents reported hearing a loud bang shortly before prayers late on the evening of Friday 21 June. Officers from the West Midlands Counter Terrorism Unit have since been conducting a large and detailed investigation which includes the recovery of many hours of CCTV pictures from the area and beyond. A 75-year-old man from Walsall arrested on 27 June in connection with this investigation has been eliminated from enquiries and faces no further action. Detectives urgently need to identify the person in these pictures. Anyone with any information that could help establish his identity is asked to contact the dedicated hotline 0800 096 1233 or Crimestoppers on 0800 555 111. If you see this man you are urged not to approach him but to call 999. A 25-YEAR-OLD man and 22-year-old man, both Eastern European, have been arrested in connection with the explosion near Aisha Mosque in Walsall on 21 June. They were arrested just before 3pm today (Thursday 18 July) and are being questioned by detectives from the West Midlands Counter Terrorism Unit. An area in Talbot Way, Small Heath is being searched and as a precaution there has been an evacuation of a number of properties. Three prominent Midland members of a new group of right-wing extremists have resigned after it was exposed by the Sunday Mercury. 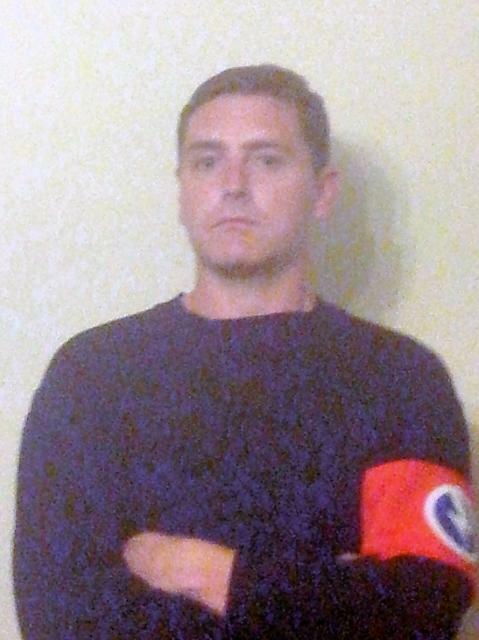 Three prominent Midland members of a sinister new group of right-wing extremists have resigned from the self-styled fascist party after it was exposed by the Sunday Mercury – with one of them branding it a front for white supremacists. Calling themselves the 21st Century Blackshirts the New British Union Party is trying to revive Oswald Mosley’s notorious British Union of Fascists party. Members look up to the former Smethwick MP and Nazi sympathiser as their spiritual leader. In the 1930s Mosley’s British Union of Fascists aligned itself with Nazi Germany and Italian dictator Benito Mussolini while its paramilitary footsoldiers, dubbed the Blackshirts, terrorised Britain’s Jews. Now far-right defectors from groups like the British National Party and English Defence League have resurrected the party re-labelling it the New British Union party (NBU). Set up in January, the party named 54 “officers” from across Britain on its web page which has already had more than 50,000 hits. A Sunday Mercury investigation revealed that its top two Midland representatives are former soldiers while other district officers in the region include failed local election candidates for the British National Party. Last night both ex-soldiers sensationally resigned from the party with its Birmingham officer claiming he had never even asked to join. Former British National Party election candidate for Sheldon, Ian Starks said he had contacted the group for more details and wasn’t even aware that he had been listed as its Birmingham Divisional Officer. 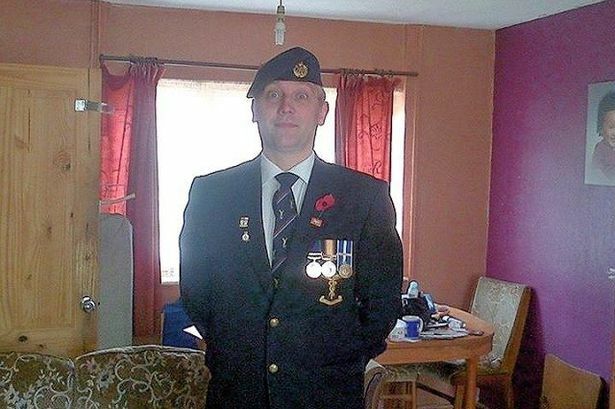 Mr Starks, a former RAF Kosovo and Gulf War veteran, said: “I never asked to join the NBU and I am not a racist.“My fiancé has three mixed-race children who I will be step-father to soon, so how can I be against people of colour? “I don’t know why my details were put on the fascist website because I don’t agree with the party policies. 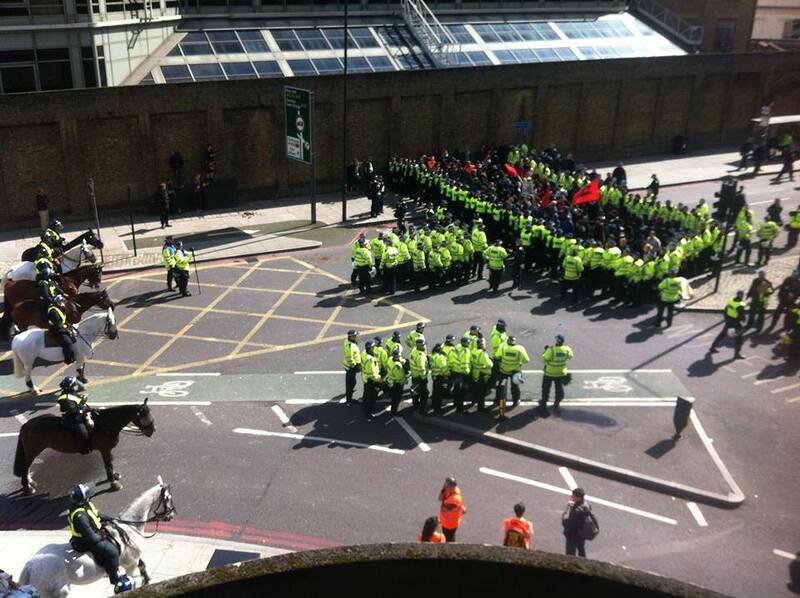 Matthew Gill described the NBU and some of its members as “sinister and dangerous” and said he too had never asked to officially join or become a district officer. The 34-year-old father-of two and European History graduate, from Sudbury, Derbyshire, said last night: “I contacted the party in March via its website because I thought it was interesting from a historical point of view. “I was later invited by its leader to write a policy document which I happily did because I thought I could retain some control over its manifesto and ensure it did not include any racist or Nazi elements. Mr Gill, who works for a Mormon charity, added: “I finally left a month ago because the party was preaching hate against people of race and was extremely anti-semitic and anti-Islam. 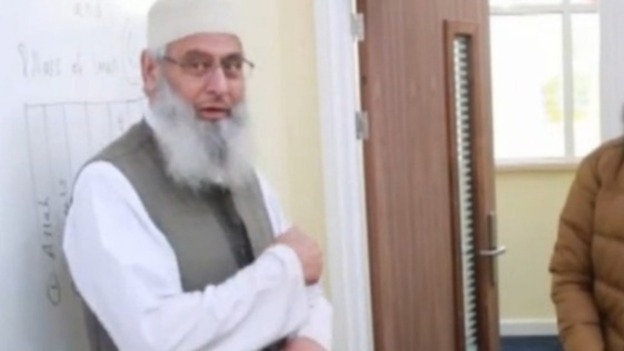 Mr Gill said he now works with Derbyshire Police to educate youngsters about the perils of joining extremist groups. The third NBU officer to resign, Matthew Moloney, was unavailable for comment but his details have been removed from the party website. He added: “Three officers from Birmingham district have resigned over one report in one local paper. “A real lack of courage in the Midlands, the leader gets death threats and God knows what rubbish printed in papers about him does he throw it in? Not bloody likely, not now not ever! 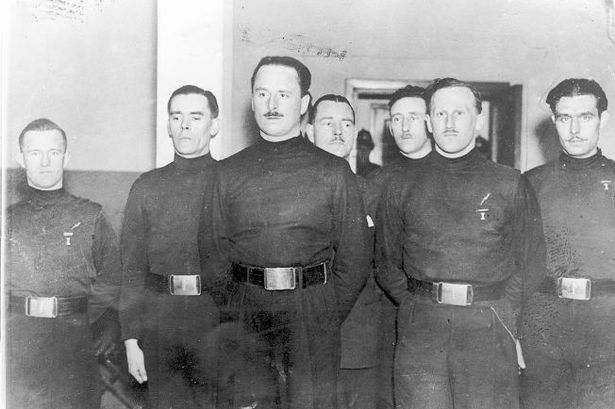 Party members are encouraged to dress in paramilitary blackshirt style uniforms, like the type worn by fascist Mussolini’s private army during his authoritarian rule. As revealed last week, the party claims not to be racist or anti-semitic but a careful look at its constitution reveals a bitter hatred of multiculturalism and non-white immigrants. 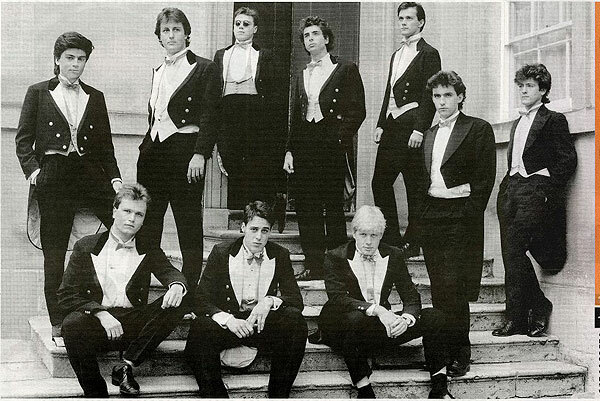 Its immigration policy states that immigrants “… must be prepared to totally leave their past nationality behind them. Racially and ethnically they must be compatible with the majority population where they wish to settle. “The same goes for religious beliefs. They must be the same as the majority, or at least similar enough so as to have no problem adopting the established values and moral code of the nation. “Differences cause problems and excessive diversity leads to nothing but trouble. Last night Mr Raikes, – who has taken on Mosley’s preferred title of Leader and signs off his correspondence with ‘Hail Britannia’ – was in unrepentant mood and insisted the three Midland men were full members. He said: “They have their reasons for denying any involvement with my party but I am still waiting for them to officially resign.